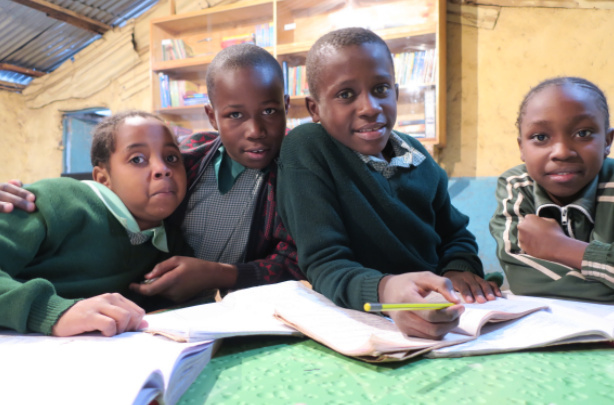 Many children in Kibera return from school to a 10 ft by 10 ft one-roomed home with no school books, no desk to work at, poor lighting and noise and distractions from other family members. 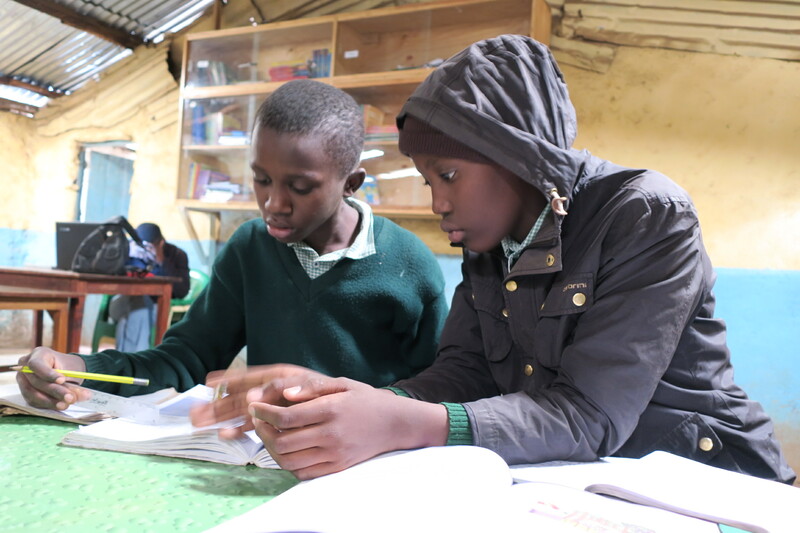 Completing their homework or doing revision in this environment is incredibly difficult. 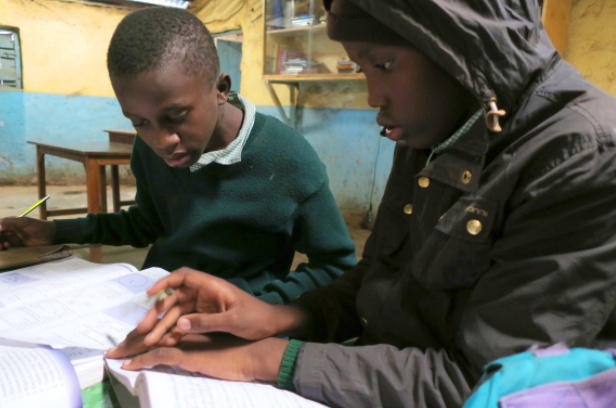 Many of the small schools in Kibera are unable to provide enough textbooks and don’t provide any further reading material. There is no option for children to research a topic that interests them further.There is no opportunity to develop their literacy and imagination by sitting down with a storybook. We provide a quiet well-lit space packed full of books and learning resources for children and families in the community to use. Children come every evening to do homework, read their favourite stories and read more about snakes, aeroplanes, ballet dancers or any topic that interests them. We aim to compliment what children are learning in school with additional learning opportunities. We organise spelling competitions and holiday art workshops. Matasia is 13 years old and in his final year of Primary School at a non-formal school inKibera. He uses the Turning Point Community Library regularly to do homework and read stories. He loves the wonder of science andhis favourite book, ‘You are here’ by Christopher Potter, is all about the history of our universe.